In June 1939 Annemarie Schwarzenbach and fellow writer Ella Maillart set out from Geneva in a Ford, heading for Afghanistan. The first women to travel Afghanistan’s Northern Road, they fled the storm brewing in Europe to seek a place untouched by what they considered to be Western neuroses. 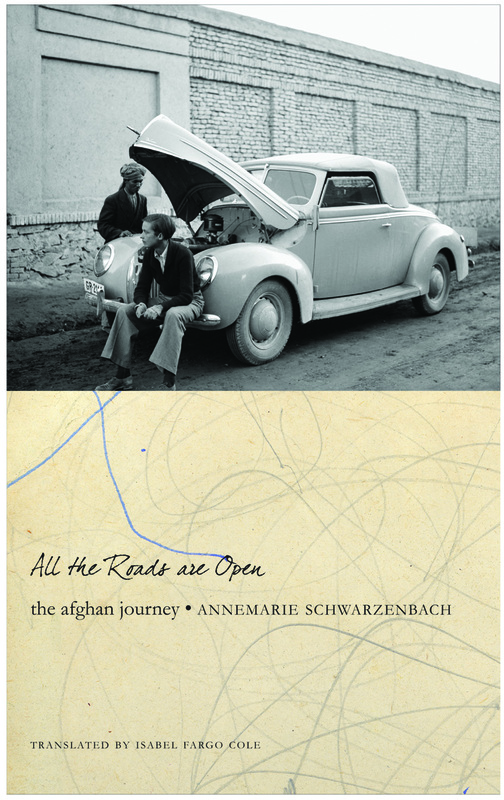 The Afghan journey documented in All the Roads Are Open is one of the most important episodes of Schwarzenbach’s turbulent life. Her incisive, lyrical essays offer a unique glimpse of an Afghanistan already touched by the “fateful laws known as progress,” a remote yet “sensitive nerve centre of world politics” caught amid great powers in upheaval. In her writings, Schwarzenbach conjures up the desolate beauty of landscapes both internal and external, reflecting on the longings and loneliness of travel as well as its grace.